Last summer, in my first article here at Schwarzenegger.com, I talked about the importance of teaching your body to move correctly with pre-workout mobility drills. In that post, I introduced four “catch-all” exercises that would warm up the majority of your body in a limited amount of time. That said, today, I want to get a bit more specific and talk about preparing shoulders for upper body training sessions. You see, shoulders are right in my “wheelhouse,” as I had a lot of shoulder problems as a young athlete, and I’ve learned to manage them. Plus, I train over 100 professional baseball players each off-season, and these guys make their living by keeping their shoulders healthy. 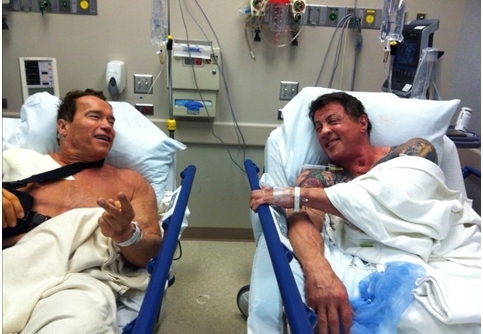 Most importantly, though, when chronic shoulder injuries proved to be the only things that could slow down two of the greatest actors and fitness fanatics of our generation, I knew we needed to get to the bottom of this! You see, shoulders take a beating in the gym, as they’re asking to go through a wide variety of movements that require stability in sometimes awkward positions. Think about what a shoulder does during bench presses, overhead presses, back squats, and dips. Then, consider that some people go out to participate in baseball, softball, tennis, or swimming. And, to complicate things, look to all the rugby, football, hockey, and lacrosse athletes who are constantly beating up their shoulders with the full-contact nature of their sports. It’s no wonder that more than half of people over the age of 60 have rotator cuff tears! Here’s the thing, though: no two shoulders are alike. Some folks are extremely “tight,” others have extremely “loose” shoulders, and everyone else is somewhere in the middle. It’s impossible to write up a program that is perfect for everyone. Combine these warm-up exercise with proper lifting technique and a well-balanced program that balances out pushing/pulling exercises and isn’t excessive in volume or frequency, and your shoulders should feel great for the long haul. Eric Cressey is the President of Cressey Performance, located near Boston, MA. An author, presenter, consultant, and powerlifter, Eric has worked with clients from youth sports to the professional and Olympic ranks, but is best known for his extensive work with baseball players. 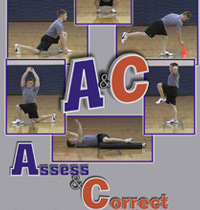 He is a co-creator of Assess and Correct, a DVD set that helps individuals identify and address their faulty movement patterns to stay healthy and enjoy exercise. Eric publishes a free blog and newsletter at www.EricCressey.com.